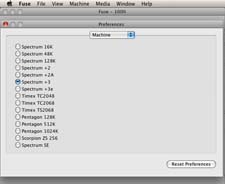 There are uncountable Spectrum emulators available, many of them for different platforms and with different capabilities. 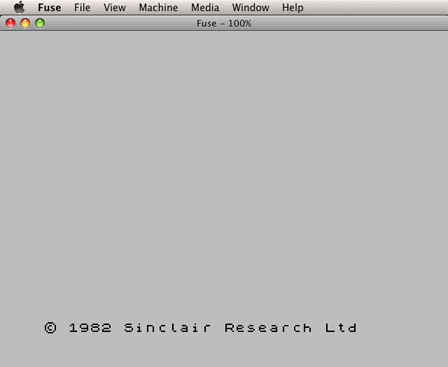 A mature and sophisticated emulator is Fuse. 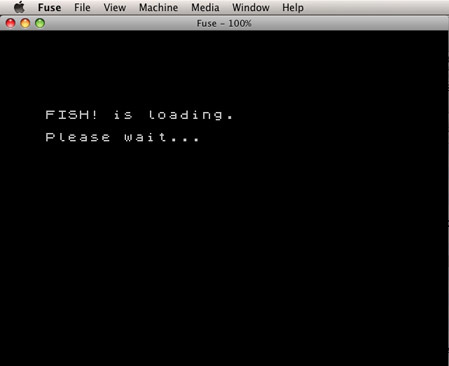 Originally targeted at Unix systems, Fuse is available for all major platforms now. 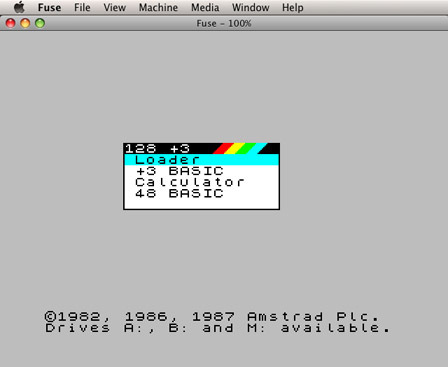 Like most other emulators, Fuse uses images files containing the contents of the original game disks or tapes. 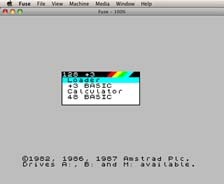 Since the Spectrum floppy drive used the rather uncommon 3" disks, it is probably difficult to transfer the disk contents without a real machine. It is quite hard to find such a drive and they are very expensive. 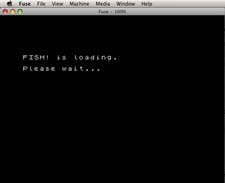 Transferring the contents of the original tape might be as difficult as the disk transfer. There are several large archives on the net carrying the image files of ZX tapes and +3 disks, so perhaps you want to choose this way (e.g. the World of Spectrum archive is a good place to start) and if you own original game copies this should be fine. 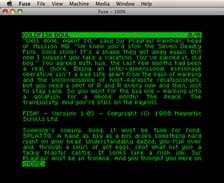 In 1999 Amstrad has allowed the free usage and distribution of the Amstrad system roms for CPC and Spectrum machines and most current emulators have the roms onboard. 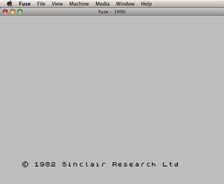 If your selected emulator is missing the roms for some reason, you can get some on the Philip Kendall's page. 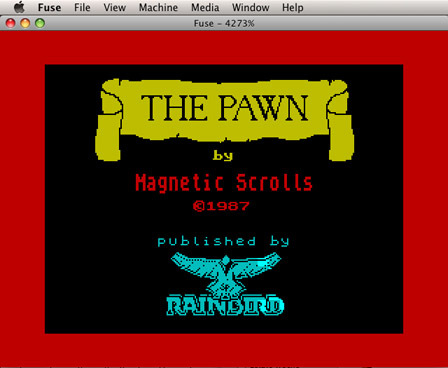 Before we can start with loading the game, we must configure Fuse the emulate the "right" machine for the Magnetic Scrolls games. All the games except for The Pawn were only released on floppy disks for the Spectrum +3. The Pawn had two different releases: Initially it was released on tape for the Spectrum 128k, later it was also released on disk for the Spectrum +3. 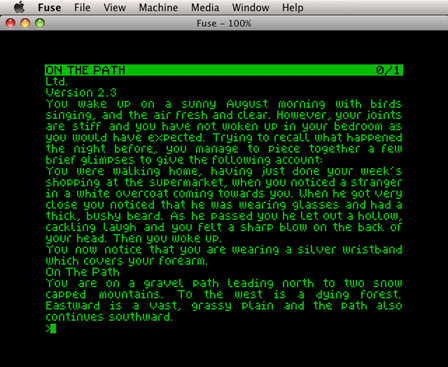 None of the games is suited for the classic 48k Spectrum. The easiest selection is the +3 model since it allows t o play both the tape and the disk versions. 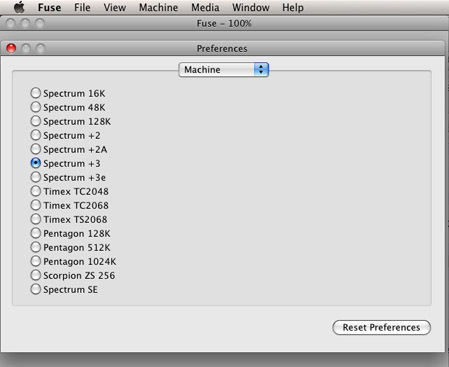 Open the "Preferences" dialog, switch to the category "Machine" and select "Spectrum +3" (the screenshot was taken on Mac OS X, so your dialog might look a little bit different, but the option should be there).